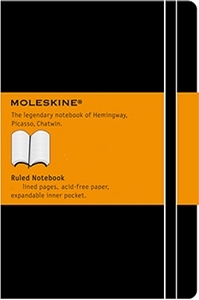 The Moleskine Ruled Large Notebook has 240 ruled pages of acid-free paper, thread bound into the hardwearing, black synthetic 'Moleskine' cover. 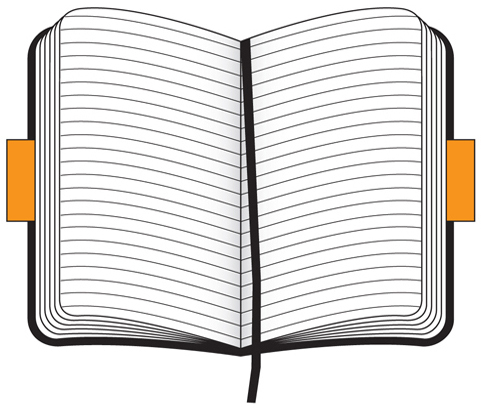 There is an elastic enclosure and expandable inner pocket. The Classic Moleskine series is where you will find the more traditional versions of these timeless notebooks, available in various sizes and colours where shown. Be it for jotting down the odd thought, taking an address, or simply doodling, these classic little chaps ensure that you’ll always do it in style.